Why is Mirage flooring not sold over the Internet? Boa-Franc, the manufacturer of Mirage flooring, is proud to deliver superior quality, prefinished hardwood flooring at competitive prices. Its use of state-of-the-art technologies makes Boa-Franc one of the most sophisticated, successful manufacturers in North America. As an ISO 9001–certified manufacturer, Boa-Franc is constantly working to ensure that its products meet the highest industry standards, from the raw materials to the finished product. It calls on a network of carefully selected distributors and exclusive Maestro MirageTM dealers—qualified, experienced professionals who provide you with the ultimate in service and technical and installation support. Boa-Franc could not maintain the high standard of Mirage products if they were sold over the Internet. Therefore, the purchase of Mirage hardwood flooring via the Internet would automatically void the manufacturer's warranty. 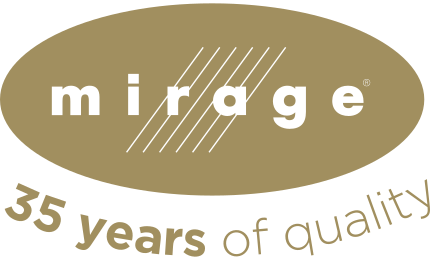 Why is Mirage flooring sold exclusively through a network of distributors and qualified dealers? When you buy Mirage hardwood flooring, you get the benefit of unparalleled service, both at the point of sale and beyond. Mirage's network of trained, authorized dealers is made up of experts in the sale and installation of hardwood flooring. They walk you through the purchasing process and will provide technical support right in your area if you need it. Their personalized service is never more than a quick phone call away. The dealers in our network will help you choose the type of flooring that's right for you. They are up-to-date on current trends and will ensure that you make the best choice to fit your needs and lifestyle. Hardwood flooring is not a commodity product, like a book or CD. You use your hardwood flooring every day, and it is an investment that will raise the value of your home for years to come. Buying your hardwood flooring from a reputable dealer is your assurance that the people who sell, install, and service your floor are experienced, well-trained professionals. 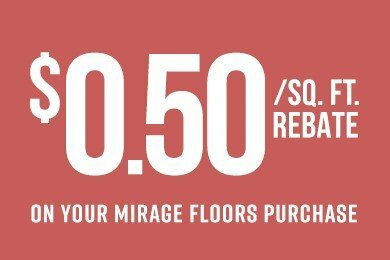 Authorized Mirage dealers will arrange for your floor to be installed by an experienced, well-trained professional who will minimize waste, provide the look and finishing touches you are seeking, and make sure it is installed safely and for your prolonged enjoyment. If you buy your hardwood floor over the Internet, you will be responsible for checking that the delivered product is not damaged or warped, which is not always easy for the inexperienced. If the product turns out to be damaged and you claim a replacement, the shipping company may reject the claim and try to prove that it is not responsible. You are in for a lot of delays, irritation, and extra costs! Given the proliferation of foreign manufacturers and imitation products on the market, you want to be sure that the high quality Mirage hardwood flooring you're expecting is really what is in the box. Buying from approved dealers is your guarantee that you are getting an authentic product. After you purchase your flooring, your local dealers are always there to help you maintain your floor and carry out any needed repairs. 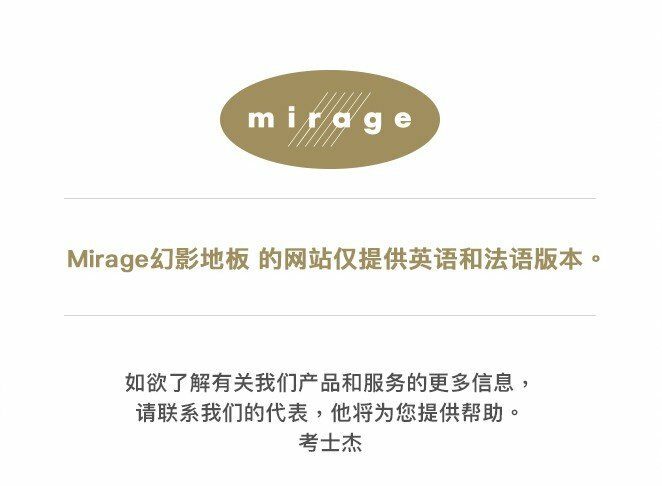 We encourage you to find out about our production processes, rigorous quality control systems and network of expert Mirage distributors and dealers. To find the dealer closest to you, use the dealer locator on our website or contact our Customer Service Department at the following toll free number : 1 800 463-1303toll free number : 1 800 463-1303toll free number : 1 800 463-1303toll free number : 1 800 463-1303number : 00 1 418 227 1181number : 00 1 418 227 1181. By choosing Mirage, you get the peace of mind you deserve. Our guarantee to you is the excellence of our products and service!